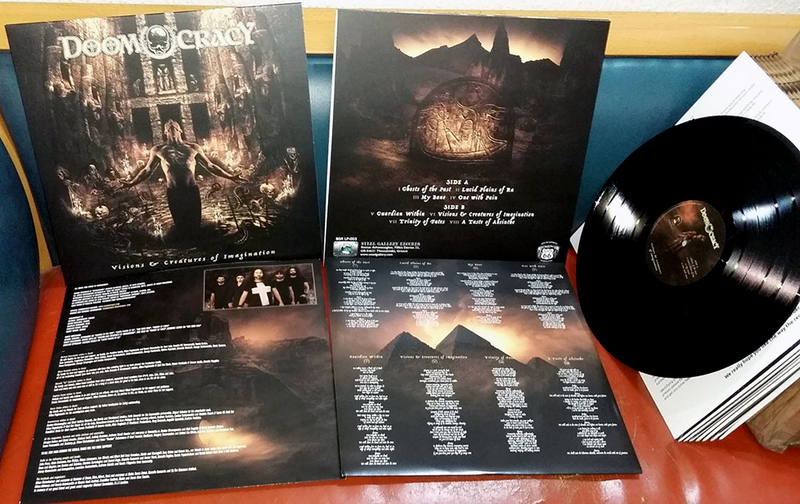 This LP pressed to ONLY 300 COPIES on 180gr VIRGIN BLACK VINYL! 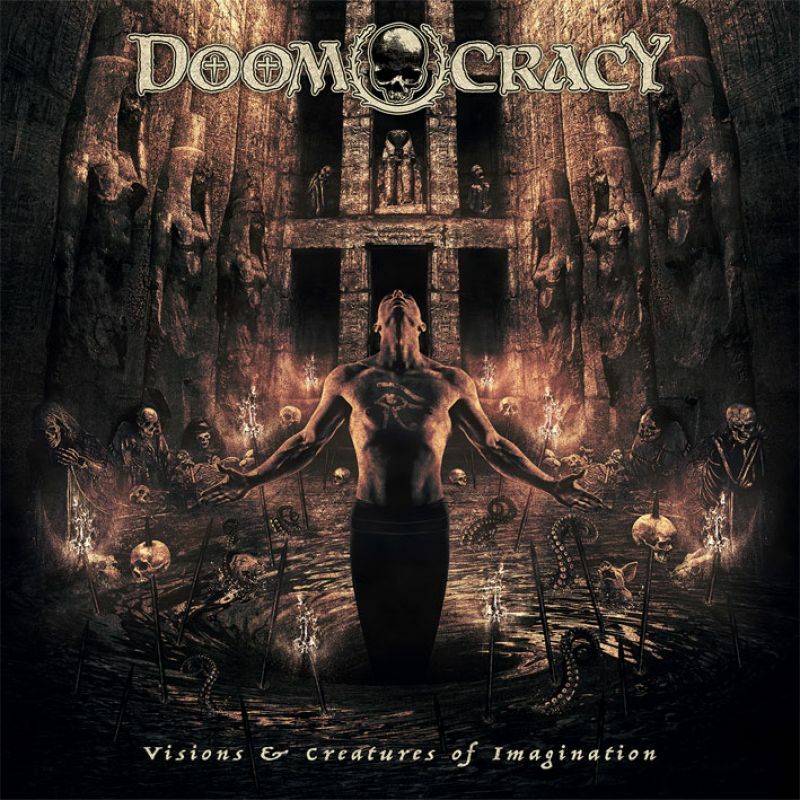 DOOMOCRACY is thrilled to announce the completion of the recording of their new album entitled: “VISIONS & CREATURES OF IMAGINATION”! 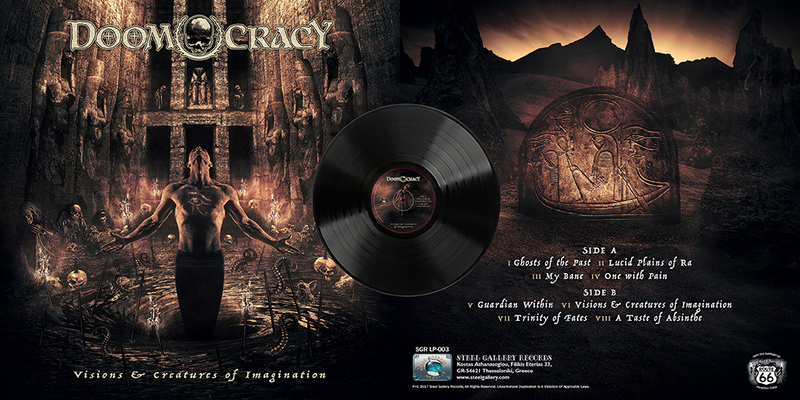 After a successful collaboration for their debut album “The End Is Written”, Doomocracy will once again partner up with “Steel Gallery Records”, for the release of “VISIONS & CREATURES OF IMAGINATION”, in August 2017 on Limited 300 Vinyls. 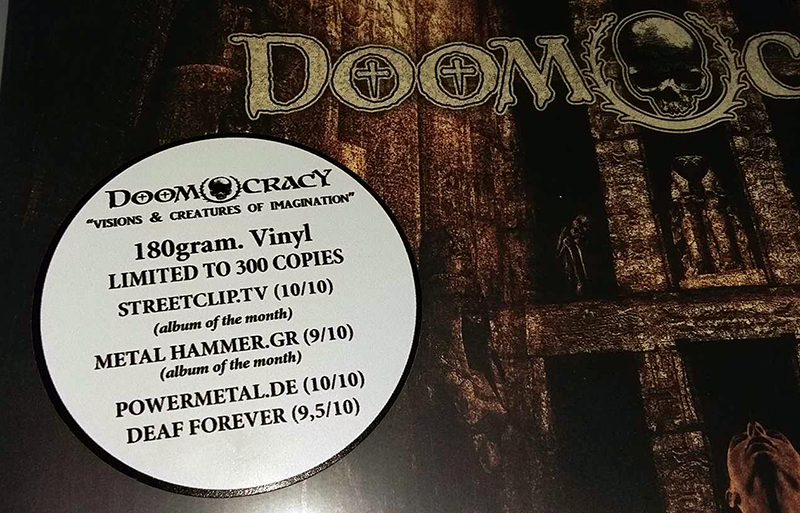 The new album is a mature step forward for Doomocracy, featuring eight original compositions of pure Epic Doom greatness. “VISIONS & CREATURES OF IMAGINATION” will feature former “MEMENTO MORI” keyboardist and classical composer, Miguel Robaina on four songs. All the recordings for the album have been completed. The drums were recorded in “Devasoundz Studios” in Athens Greece, with Fotis Benardo. All other instruments were recorded at “Mad Hat Music Studio” in Heraklion, Crete with the valuable help of Nikos Vogiatzakis. Keyboards were recorded by Miguel Robaina in Tyreso, Sweden DOOMOCRACY, will collaborate with Jim Morris and “Morrisound Recording” (Iced Earth, Death, Crimson Glory), at Tampa Florida, USA, for the Mix and Mastering of “VISIONS & CREATURES OF IMAGINATION”. The cover artwork has been designed by Sonnet Jean-Philippe at “THREADBARE ARTWORK”. Recorded, Drums in Devasoundz Studios, Athens, Greece. Bass, Guitars, Vocals in Mad Hat Music Studios, Heraklion, Crete. Keyboards by Miguel Robaina in Tyreso, Sweden. Mixed and mastered by Jim Morris on Morrisound Recording, Tampa, Florida, USA. Cover artwork/Layout by Sonnet Jean-Philippe at “Threadbare Artwork”.